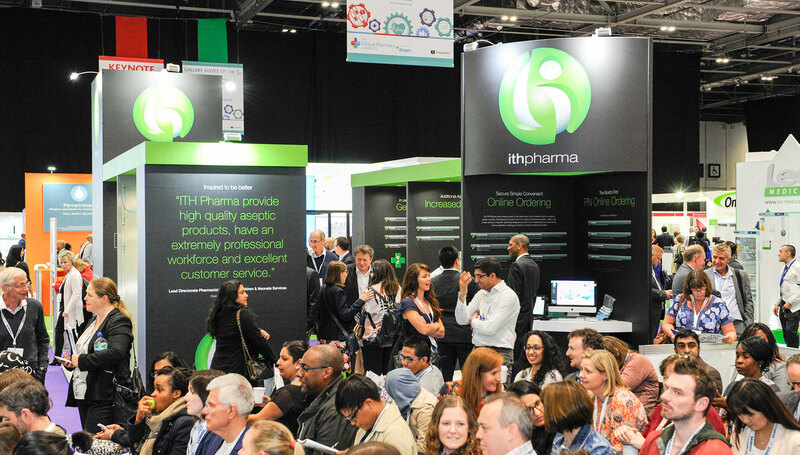 ITH Pharma made a successful return to the Clinical Pharmacy Congress 2017 at London Excel on the 12th and 13th May with our largest ever stand. The exhibition provided a chance for us to connect with a large number of our existing customers to discuss present and future plans for the business. Chief amongst the topics being discussed were the new cleanrooms at unit 2 that will be operational this year, and will provide increased capacity and backup to our present facilities. Our IT department were also at hand with a virtual reality tour of the new aseptic unit, which was a big hit with many of the attendees of the Clinical Pharmacy Congress 2017 who were brave enough to try it. Also on show at the exhibition were the chemo and PN online ordering systems running on 2 dedicated computer terminals. This was valuable for attendees to see how simple both systems are to use in comparison to other ordering methods. Customers could also see the benefits online ordering will provide for them with features such as simple repeat ordering and instant email order confirmation. This year as in previous years there were a number of Doselock devices on hand to show interested customers the specifics of the in-house developed product delivery system. Fitting around the plunger of standard syringe the product comes in 20ml, 30ml and 50ml sizes, and acts as a permanently lockable stem allowing for precise doses to be safely administered to patients. Other highlights of the event focused on our growing partnership with Georgelle, our QA consultancy services, iCAP testing, and the new Ionised Hydrogen Peroxide Disinfection system at unit 2 that allows for large volumes of products to be simultaneously sterilized.